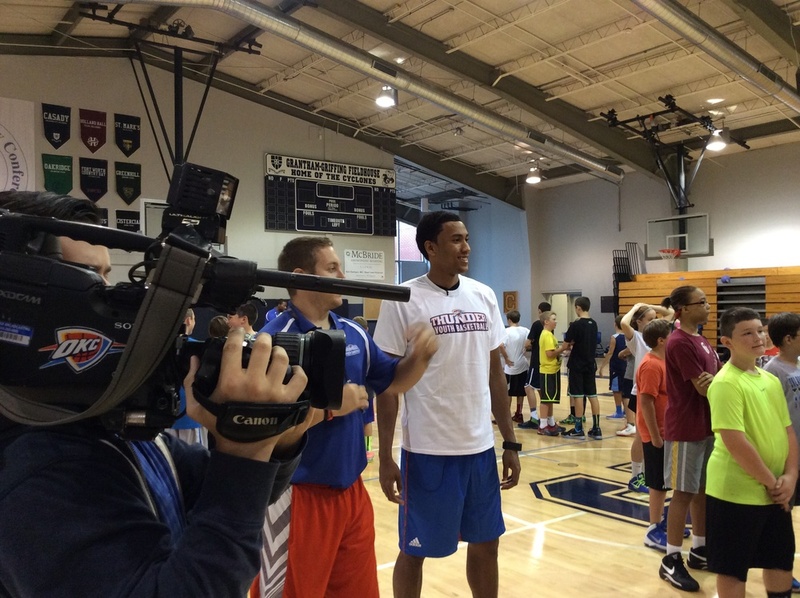 The youngsters participating in this week’s Thunder Youth Basketball Camp at Oklahoma City’s Casady School have gotten a rare treat. Visits from not just one Thunder basketball player but two. Wednesday rookie center Mitch McGary stopped by and Thursday rookie small forward Josh Huestis dropped in to give the campers some hoops tips and share some memories. Speaking as someone who’s been there Huestis said it’s really important when dealing with kids who are just beginning to refine their basketball skills to make camps like this feel like fun, not work. Huestis developed that love for the game early on and it’s something that drives him still. 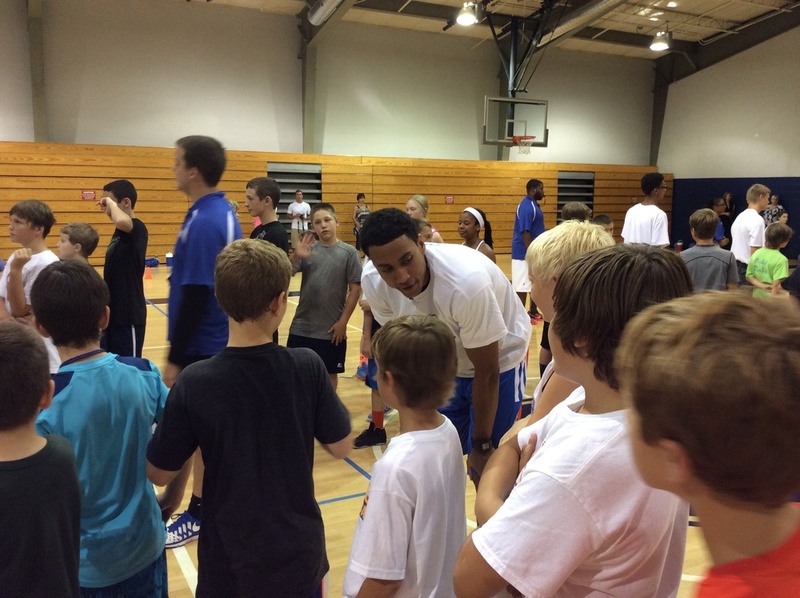 That’s another reason he loves to play defense and it was something a couple of the kids even asked questions about. Huestis sounded like he was channeling Eddie Sutton when he said that because I heard the legendary for OSU basketball boss say that very same thing I don’t know how many times when I would talk to him about the importance of playing defense. It’s a philosophy Huestis clearly understands and readily admits his offensive game isn’t on a level his defense is. Huestis showed off his defense and rebounding skills last week during the Orlando Summer League, he also showed a few offensive flashes, mostly on putbacks and baseline cuts. His 3-point shooting was, well, something he needs to work on. Overall it was a good experience for him and a wakeup call about what life might be like in the NBA. The biggest surprise for Huestis wasn’t really the speed of the game, it was the size of the players. And if he thinks the guys at summer league were grown men just wait till he goes up against Perk. And Serge. And KD and Russ. But on this day, with training camp and those battles with superstar NBA teammates still 10 weeks or so away, it was Josh who was doing the teaching, not so much the learning. And sometimes, all it takes is just one.